High Quality Content by WIKIPEDIA articles! 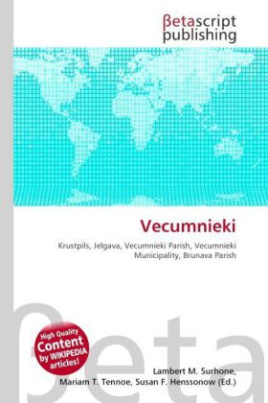 Vecumnieki is a village in Vecumnieki municipality, Latvia, with a population of 2487 (2007). It is just north of the Jelgava-Krustpils railroad. There are few shops, kindergarten and a secondary school. Vecumnieki parish is one of 10 largest parishes in Latvia, with population of almost 5000. The buses from Riga to Skaistkalne, Il kste and Nereta stop by the crossroad at the centre.